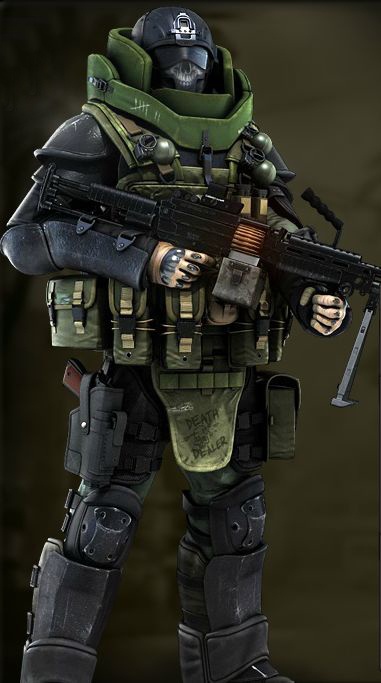 The Heavily Armed Elite Herc Boss will be more or less same like this two photos but eqipped with a deadly minigun. Basically the same idea I had, but nice idea for the visuals. Also, we could have not only high aps, kb and damage but also range and suppression, to force the player to work in teams to get up close. I think 1000% we needed visuals to all be on the same page with what we want, and this is exactly what I envisioned for the Herc badass super soldiers. 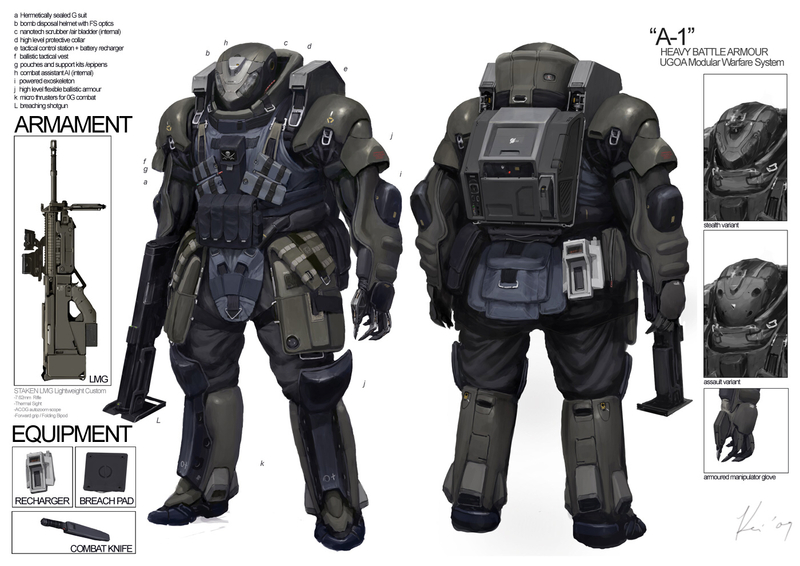 This would be awesome in game and even cooler to fight against. On that note, yes I agree that this mission should not be like Island. Where on the regular I hear people asking: who even loots island anymore, they just run through. I beleive that it should always be a challenge if you are guranteed a unique. This would present a nice challenge, one the Con can easily change once implemented with tweaks to aps and damage of the bosses.